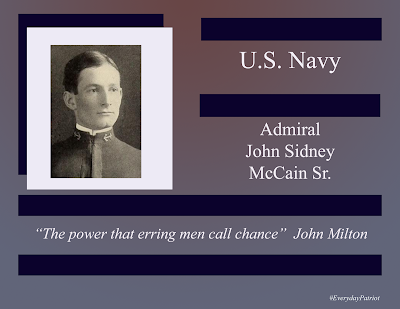 Admiral John Sidney "Slew" McCain Sr was born on August 9, 1884, in Carroll County Mississippi. and hadn't planned on being a sailor. 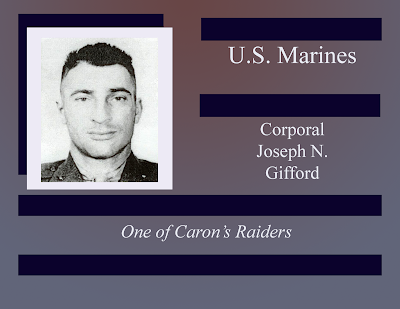 For a couple of years, he had attended the University of Mississippi and had even joined the Phi Delta Theta fraternity before deciding to enter the Military Academy. He had initially planned on going to West Point, but, after using U.S. Navy test preparation materials, chose to enter Annapolis instead. Graduating in 1906, he took part in the Great White Fleet's world tour, which took place from 1907 until 1909, returning to the U.S as a member of the USS Connecticut's crew. Admiral McCain was then assigned to the Asiatic Squadron, berthed in San Diego. He served as the Executive Office of the USS Colorado, patrolling the Pacific coast of Mexico from 1914 to 1915 before joining the crew of the USS San Diego in September, to provide convoy protection in the Atlantic during WWI. He was also briefly assigned to the Bureau of Navigation, during in mid-1918. The '20s and early '30s saw Admiral McCain assigned to a variety of boats, including the USS Maryland, USS Mexico, and his first command, aboard the USS Sirius. Admiral McCain then began his training at flight school, graduating in 1936, and was then assigned to command the aircraft carrier USS. 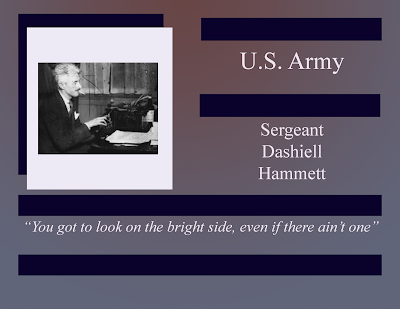 Ranger, a post he held until 1939. 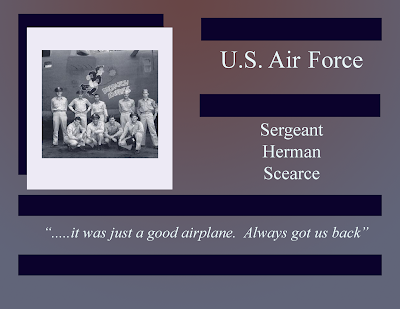 After which he was assigned command of the Aircraft Scouting Force. In May 1942, he was named Commander of Aircraft, South Pacific, in response to Pearl Harbor, before his assignment as the head of the Buearau of Aeronautics in Washington, and then promoted to Deputy Chief of Naval Operations for Air. Admiral McCain returned to combat in August 1944, receiving a command of a carrier group in Task Force 8 and was instrumental in the Marians Island Campaign, and Battle of the Philippine Sea, before taking command of Task Force 38, which he led through the Battle of Okinawa. Admiral McCain is also known for turning to assist Admiral Sprague's team during the Battle Off Samar, prior to receiving orders to do so, as he had been listening to the radio transmissions. His actions helped recover the planes which had launched in the initial attack, and his presence encouraged the Japanese withdrawal. Admiral McCain, long ready to retire, stayed through the surrender ceremony in Tokyo Bay on September 2, 1945, before succumbing to a heart attack on September 6. He rests in Arlington Cemetary.